In our collection we have these two very classic examples of Dutch side tables that are both elegant and classy in a very subtle way. First is this beautiful Walnut Side Table from the late 17th Century. This table features a simple table top standing on minimalist decorative feet with a drawer underneath. The drawer adds functionality to the table. A fine example in immaculate condition! Its simple elegance will sit well in any style and decor. 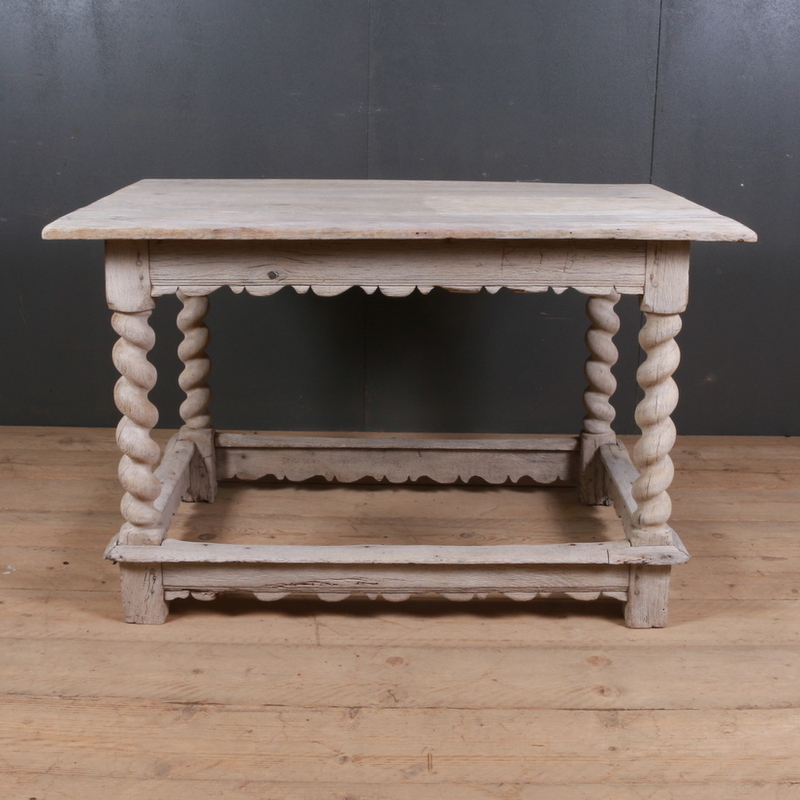 Another fine example is this bleached oak side table. It’s light tones, pretty feet and simple decorative design will help it blend effortlessly into a room for decoration or with a practical purpose. Browse through the website for more images, and other similar products that may also appeal.